Christmas brings a time of genuine joy — and unrelenting stress. The chaos begins just after getting up from the dinner table from the last holiday – was it just after Labor Day? – when the play list on the radio shifts from the Top 40 to Bing Crosby crooning “White Christmas,” a song pulled from the last Ice Age. Black Friday and Cyber Monday gift wrap a weekend devoted to binge shopping. And if you’re like me, nothing compares with the last-minute stress of trying to find the perfect gift at 5 p.m. on Christmas Eve. Store clerks look at their watches and shudder when I come in the door. Christmas perfection demands answers: Does my 5-year-old grandson like Spiderman or Batman? What do you get a 9-month-old whose hobbies include eating, sleeping, filling diapers and smiling? Will there be snow for Santa to land his sleigh on Christmas Eve? I still worry about that. Psychologist and freelance writer Juli Fraga suggests that friends play an important role at Christmas. Apparently the Christmas spirit extends beyond family, beyond the small circle defined by ourselves. We had a Christmas party at our house with friends and neighbors. Not to say those are two separate categories in our mailing database. In small towns, neighbors become friends and friends become neighbors. We had the usual smorgasbord of food, drink, chatter and laughter. At the end, I sat down with my friend Dan to play guitar and sing “oldies but goodies” and some Christmas selections. Dan, an accomplished musician, regaled us with his Christmas songs with somewhat suspect alternate lyrics. Me, well, think of Tiny Tim with a guitar rather than a ukulele. If you are too young to remember Tiny Tim’s musical prowess, well, you don’t want to remember. Thomas, one of our neighbors who became friends – or was it the other way around? – thanked us for playing that song. He remembered, as a contractor stationed in Iraq, the visceral reaction of troops when “Country Roads” was played, beckoning them home. “Don’t forget those folks,” he said. It stopped the room. We remembered those folks. Amid the chaos of business meetings, office parties, Christmas shopping and trying to fit the Christmas spirit in between deadlines, I find myself feeling utterly self-absorbed. I have forgotten: Christmas stress is about me. Christmas celebration is about someone else. In both the original Christmas Story and the secular traditions that followed, Christmas joy springs from someone outside ourselves. I have forgotten, if not the Christmas spirit, the reason we celebrate and commiserate the year round. A spirit not confined to Christmas that discovers our common bonds and shared membership in humanity. A spirit that has nothing to do with stress. Indeed, don’t forget those folks. And don’t forget all the folks – friends, neighbors and strangers – who make Christmas about someone other than ourselves. 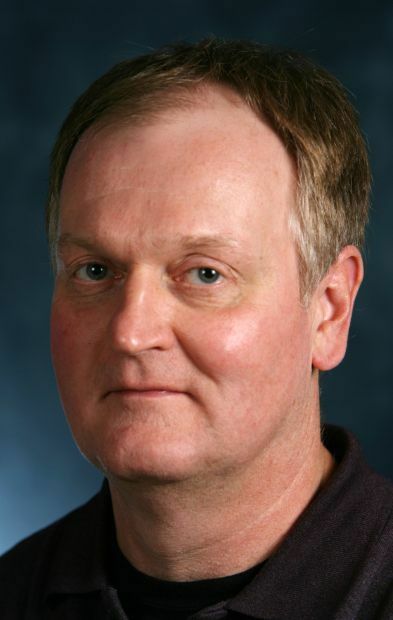 Eric Frydenlund lives in Prairie du Chien and writes about nature, politics and social issues from a systems perspective.